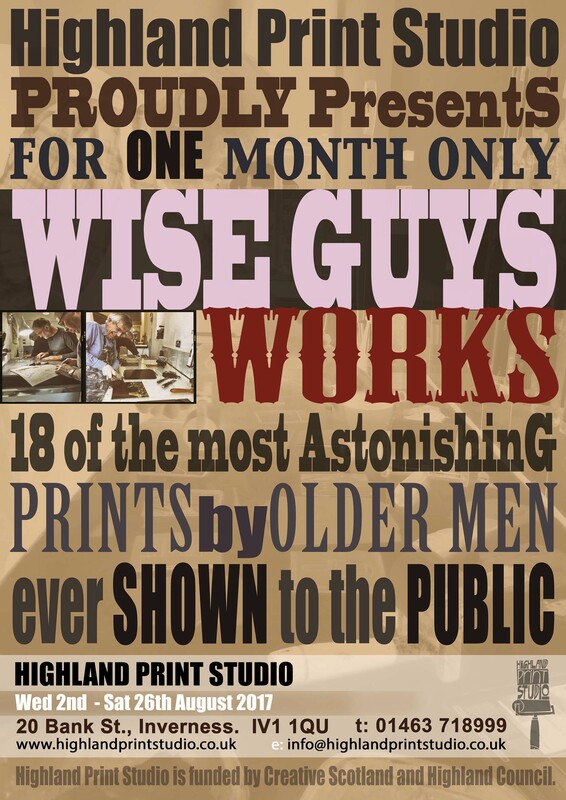 Our new exhibition ‘Wise Guys Works’ is now on display in the Studio until 26 August. It features recent prints by our Wise Guys group, all framed by a Wise Guy (with the help of some apprentices …) A terrific exhibition, proving that it is possible to turn old men into young artists. Don’t miss it.